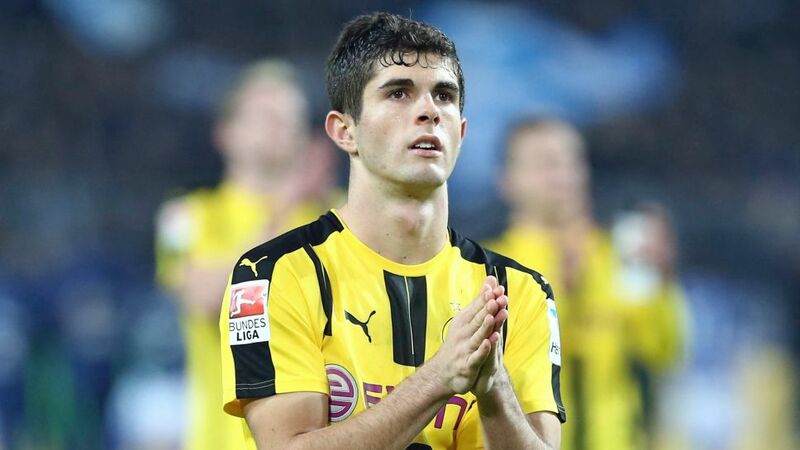 USMNT international Christian Pulisic is confident Borussia Dortmund will rediscover the winning formula soon enough, despite dropping points for the fourth game in a row in Saturday's Revierderby stalemate with FC Schalke 04. Find our how your Official Fantasy Bundesliga team is shaping up after Matchday 9 here! Ousmane Dembele (Borussia Dortmund forward): "The first half wasn't great, we didn't create any chances. I had the best chance in the second half, but it wasn't easy. Christian [Pulisic] headed it on and I just tried to get something on it. We had other chances, though, but our luck wasn't in today." Mario Götze (Borussia Dortmund midfielder): "We're not all that satisfied. We didn't pick up three points. We weren't clinical, enough even though we worked a lot on and off the ball. We haven’t picked up enough points in recent weeks, but we're on the right track. I'm happy to be here and enjoying my football. We just need to start rewarding ourselves." Matthias Ginter (Borussia Dortmund defender): "We didn't find our rhythm in the first half, which meant we hardly created any goal-scoring chances. It went better for us in the second half, but an entire first half without a shot on goal is tough to take - especially by our standards. We're still young, we have a lot of potential, but we're still learning. We have to work hard and then it'll pay off for us." Thomas Tuchel (Borussia Dortmund head coach): "We made a lot of silly mistakes in the first half. Our aim is always to try and score goals, but we weren't clinical enough going forward. We lacked rhythm when we tried to press forward and of course the challenges that were flying in played their part in that. But we were putting in challenges in the exact same manner. From game to game, we know what football is all about. You don't always get the results you deserve." Sead Kolasinac (FC Schalke 04 defender): "Playing against Dortmund is always special and we knew that coming into the game. It was an intense game, but in the end a draw is a fair result for both sides. I knew I had to make a challenge on [Christian] Pulisic. I had a little bit of luck because the ball could have gone anywhere. We're on the right track and if we keep playing like this and throwing ourselves into games the way we did tonight then we'll keep picking up wins." Benedikt Höwedes (FC Schalke 04 defender): "We can be very happy with the result. Our fans were amazing today just like they always are. We had to ride our luck a little bit at the end, but we deserved to come away with a share of the spoils." Leon Goretzka (FC Schalke 04 midfielder): "We can be really happy with a point in Dortmund. We gave it our all as a team and if we were a bit more clinical in the final third, maybe we could have won the game. Overall, we;re happy with the result." Ralf Fährmann (FC Schalke 04 goalkeeper): "We're really pleased with the result. We defended brilliantly in the first half, so much so that I barely had a save to make. Even though Dortmund had more of the ball in the second half, we had chances on the counter, but the final ball was lacking for us today." Markus Weinzierl (FC Schallke 04 head coach): "We're happy with the point, we played well for 50, 60 minutes. We were solid and barely gave Dortmund a sniff of goal in the first half. The chances were there, but we lacked the final ball. Overall, it's the right result." Head to the Match Centre for more on the game!